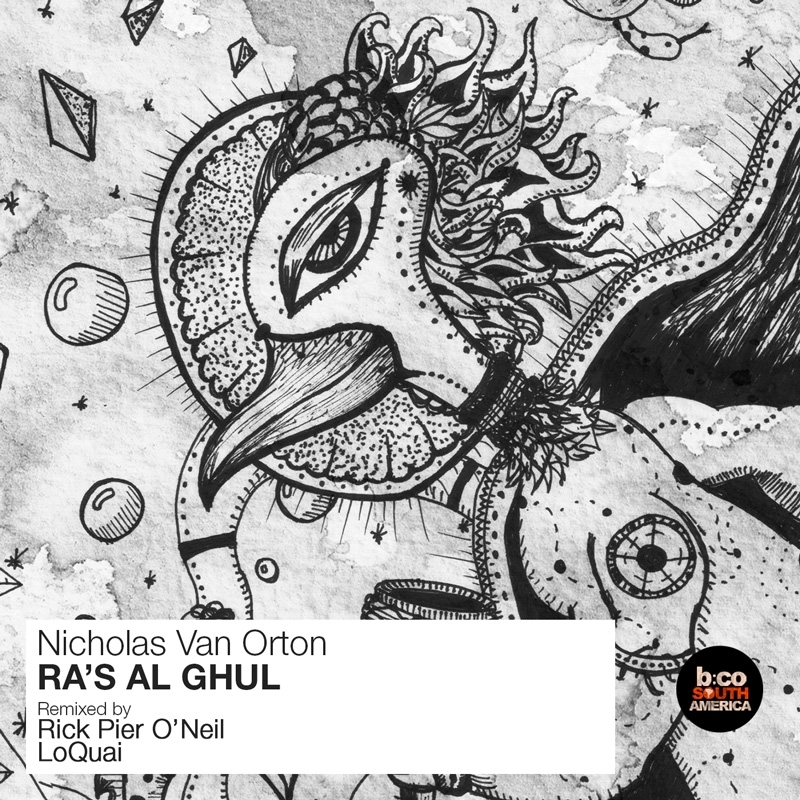 Balkan Connection South America celebrates its 300th release this week with a brand new single from label boss Nicholas Van Orton. Launched in February of 2009 with an EP from K-PAX (now Kasall of Kasall & Cristian R fame) BCSA has been a platform for up and coming artists not only from Argentina but around the world to showcase their skills. Now over 7 years later it seems only appropriate that Nicholas be the one to etch out #300 in the labels discography and he’s brought in some sensational help from Rick Pier O’Neil and Loquai. I’ve remarked about the quality of Nicholas’ productions before and it’s never been more true than on Ra’s al Ghul. From its tightly wound groove to pleasing rhythmic qualities it’s going to make for a great dance floor record. There’s a melodic narrative running through it which is lovely as well. Subtle but powerful as soft textural drifts sweep across the framework and eventually lead to a buzzy break and blissful third act. Would be hard to say it’s not one of Nicholas’ best ever productions and he certainly saved it for a momentous occasion. Both remixes bring a new found direction making for a well rounded release. First up Rick Pier O’Neil takes it into deeper, more stripped down territory. This is a surprising remix honestly, I expected a tougher, meaner approach like Rick is so loved for but he’s gone deep and mystical here with great results. Bulbous bass stabs sit at the foundation and carve out a spacious and swing heavy groove. It chugs along nicely but the star of the show are all the wispy atmospheres and hypnotic motifs which come together in a harmonious haze. Gotta be one of Rick’s dreamiest productions to date and a great complement to the original. Closing the release out is the always reliable Loquai who is making his 16th appearance on BCSA. The Refined Tunes label boss has provided a tougher rendition of ‘Ra’s al Ghul’ while still retaining all the dreamy qualities that makes the original so great. It’s rare you see Loquai go in this direction, softer beats and lush, groovy bass lines are the norm but this one’s got some punch. A smooth build out of the main break makes for a great dance floor moment and a driving third act provides an energetic conclusion to the release. Brilliant remix from Loquai and a huge milestone for Nicholas and BCSA reaching release number 300. Highly Recommended.